Mendip has a remarkably rich archaeological record, from the Middle Palaeolithic through to Roman times and beyond. A comprehensive account has been edited by Jodie Lewis, under the title The Archaeology of Mendip: 500,000 Years of Change and Continuity. 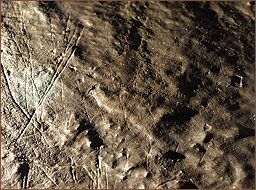 The earliest signs of Man in this area are the probable Lower Palaeolithic flints from Westbury Quarry but most importantly, the area contains one of the richest Upper Palaeolithic sites in Britain, Gough's Cave, in Cheddar Gorge and the most important Mesolithic cemetery in the country, Aveline’s Hole in Burrington Combe. Both of these valleys are rock art sites. Mendip remained a focus of human activity throughout the remainder of prehistory and many, many more important and interesting sites can be found, from the late Neolithic Priddy Circles to the Roman lead mines at Charterhouse. Recent finds by George Nash in South Wales show that there is still much work to be done in this field and there are a number of cave sites on Mendip that still require careful investigation to discover whether further finds of ancient rock art can be made here. 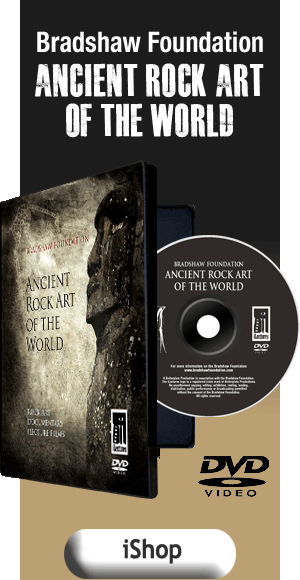 However, in the course of these investigations, other rock art finds have been made. 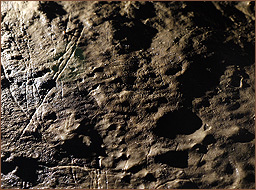 There are a number of caves, including Long Hole in Cheddar Gorge, Wookey Hole and Goatchurch cavern in which we have found early modern (17th century or later) apotropaic signs or 'witch marks', signs made to ward off or protect against evil. 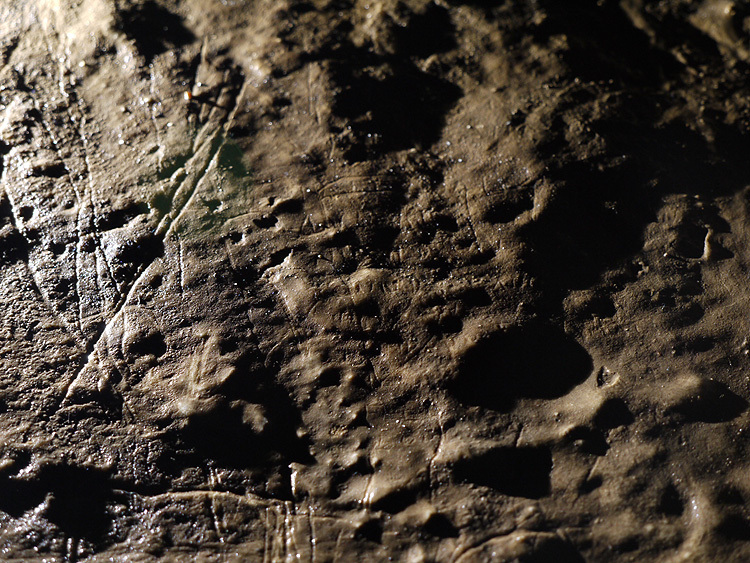 Possibly the most enigmatic marks discovered so far are these in Goatchurch Cavern, Burrington Combe. 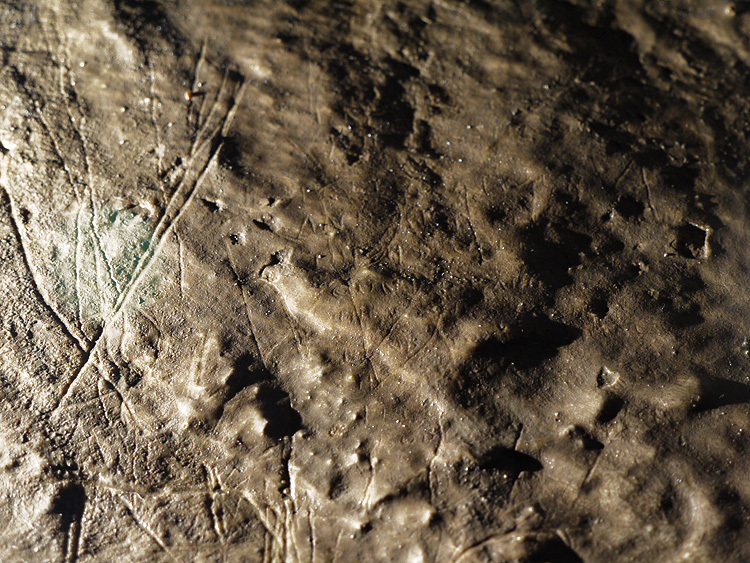 These tiny marks have yet to be deciphered or interpreted in any meaningful manner. Linda Wilson is a retired solicitor with a wide variety of interests, including caving, archaeology and, especially, rock art. She has published a number of papers covering engravings found in caves, from the Palaeolithic up until modern times. 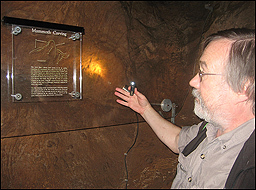 Graham Mullan has been caving and researching caves for over forty years. 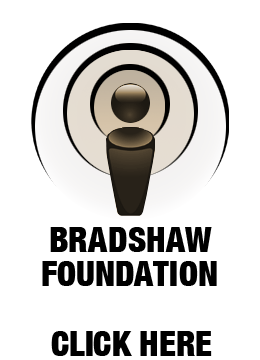 His main interests are Palaeolithic and Mesolithic cave art, cave geomorphology, cave conservation and cave surveying.